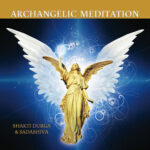 Allow yourself to be transported to realms of calmness and peace with Shakti Durga’s tranquil singing discourse. The perfect meditation for letting go. In this meditation Shakti Durga guides your body and mind to relax so that deep healing can occur. Experience peace and rejuvenation as you absorb the beautiful sound vibrations of Shakti Durga’s voice chanting OM into your body and feel the release of any stress as you respond. Shakti Durga guides you in directing the energy of Divine Healing through your body, bringing to you a heightened awareness of your heart chakra and its connection to your soul. Recorded at the Abode of Peace on the 21st of March, 2016.